The GraphicalViewItemFormatting event allows you to change the style and looks of the items displayed in the graphical view. 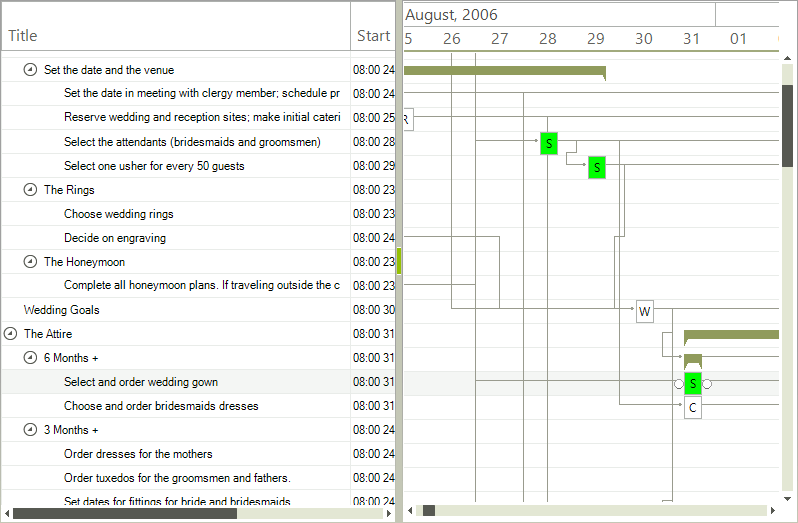 The following example demonstrates how to format all tasks that involve some selection e.g. their title starts with "Select".